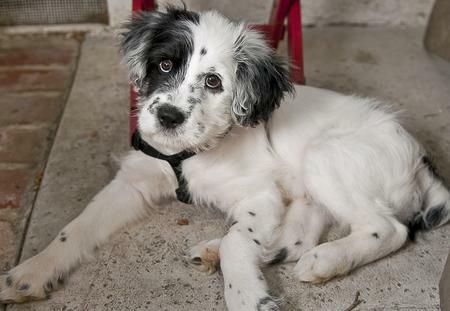 So you know how it’s always the cute little spotty, patchy dogs, that are picked over the plain coloured dogs. Well, do you think that same theory of acceptance could maybe, possibly apply to humans? You see, a recent trip to Lismore has left this girl I know looking like one of those spotty, patchy types and she’s starting to worry that the whole ‘spotty’ look won’t be as socially accepted with humans as it is with our furry little friends. Which means, after weeks and weeks of careful, strategic, non-patchy sunbaking, just ten minutes in the heat of Lismore and all of her summer efforts have been ruined. Just like that, the perfectly even summer glow that she once had, had turned into that patchy Border Collie look. A peeling, patchy Border Collie look to be exact and there is not a thing that she could do about it. Well, not unless the patchy Border Collie look becomes the latest trend this season.